A very special event is coming up in the beginning of December. 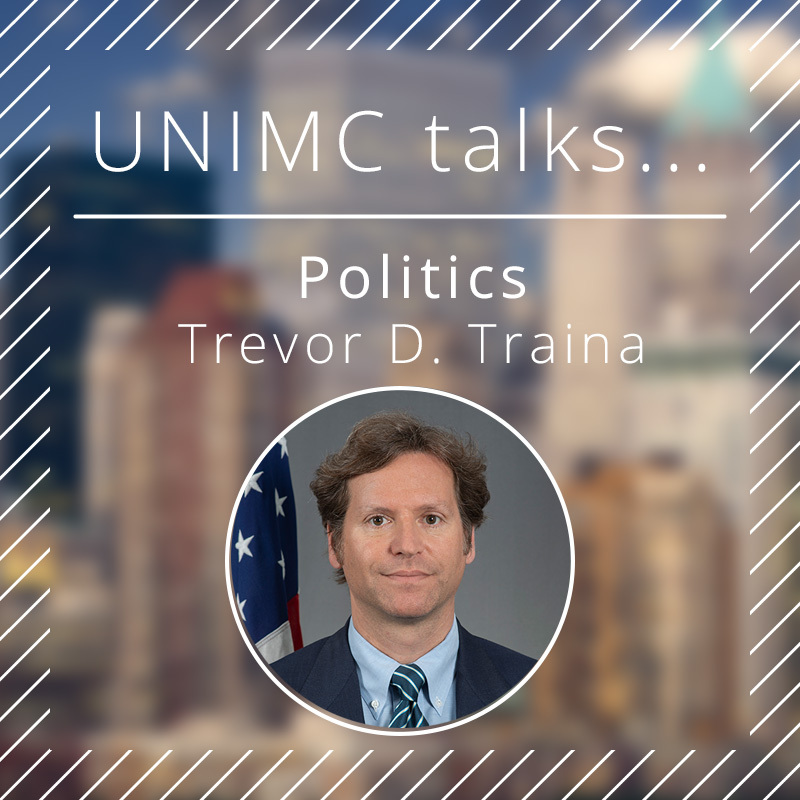 We are looking forward to a fireside chat with the US Ambassador to Austria, Trevor D. Traina. Almost one month after the Midterm Elections, we will discuss the results and what they mean for the Trump Administration as well as the Presidential Elections in 2020. Additionally, we will not miss the chance to talk with Mr Traina about his agenda and everyday life as an ambassador, his career as technology entrepreneur and philanthropist in San Francisco, and his ambitions to initially become America’s representative to Austria. Join us at the Amerika Haus for an interesting talk and unique insights! Sign up via the form below – note that you have to register until December 1st. At the Haus Amerika please expect to show a valid ID and that you have to go through a light security screening.